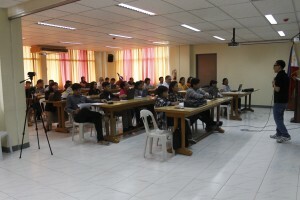 The Recoletos Educational Apostolate in the Philippines (REAP) in Collaboration with University of San Jose-Recoletos’ Center for Policy, Research and Development Studies (CPRDS) held a seminar-workshop in Textbook writing last June 28-29, 2017 at the Talavera House of Prayer, Quiot Pardo, Cebu City. 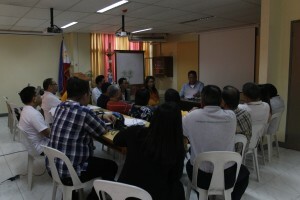 This was attended by book writers from teachers of basic to higher education faculty members. The program aims to come up with learning materials that is “TATAK RECOLETO”, which will be used by all recollect schools in the country. 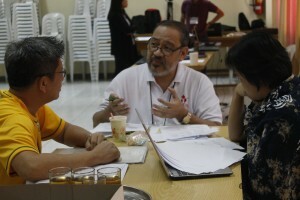 Dr. Mark Joseph T. Calano shared his expertise in textbook writing, and on research publications as well. According to Dr. Calano, “What is good about a human being is that, we are not like waters, we can be above our source”. This, he believes, can be possible by making writing a habit. He further explained that writing is a skill and can be learned through constant practice. “Write a paragraph a day and you will be surprised, you will have 365 paragraphs in a year”, he added. The textbook writing program is part of the REAP’s institutionalization program. This program aims to institutionalize not just research related activities of all REAP schools but the production of Instructional Materials as well. Participants were given 5 to 10 months to finish the book, just in time for the opening of the next school year, 2018-2019.